Available in all-compatible and iPad-exclusive versions. Steins;Gate will launch for iOS devices in English on September 9, publisher 5pb. announced. The English release will cost $24.99 / 3,000 yen (currency rates may differ outside of the U.S. and Japan). 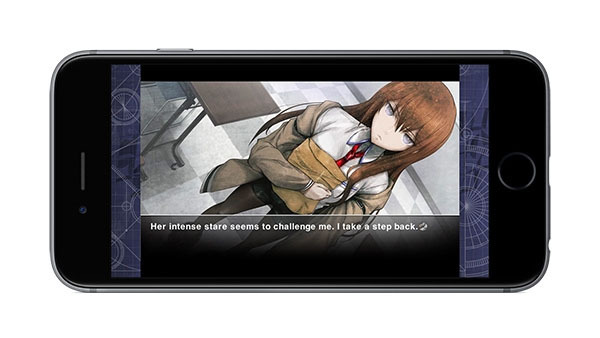 It will be playable on iPhone, iPod Touch, and iPad as Steins;Gate EN. There will also be an iPad-exclusive Steins;Gate HD EN, which costs the same price. Both editions require iOS 8.0 or higher, and the former an iPhone 4, iPod Touch 5G, iPad 2, iPad Mini, or higher.